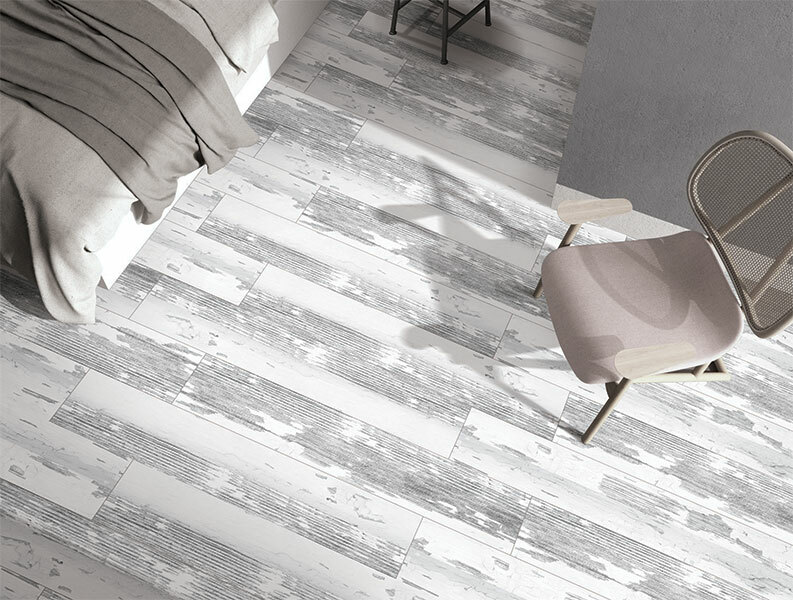 If the opportunity has already arrived where you need to give your floor spaces a makeover, why not go for wooden floor tiles? 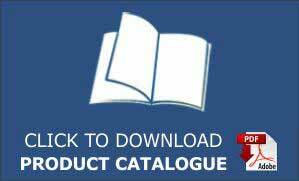 Recommended by fashion experts and engineers all over the nation, wooden floor tiles are the most recent deck drift! Give me a chance to acquaint you with them! While a wooden floor fits in with two noteworthy plan patterns – the characteristic look and the farmhouse look - regular wood requires steady treating and maintenance. It needs sanding and waxing on a regular basis to keep the edges from chipping. With Kajaria wooden floor tiles in India, you don't need to stress over that as they’re a strong, zero-maintenance choice. Wooden floor tiles are amazingly exact! You wouldn't trust the procedure that goes into making them. Top notch pictures are taken of common wood – finished with each bunch and grain! These pictures are then imprinted onto the substance of Kajaria floor tiles in India! Sections are regularly scored into the surface of the tile, as well, to give them that naturalistic surface. Each tile has a huge number of various prints, so that there's a decent fluctuation over a story space; simply like with a characteristic wooden floor! In case you have pets, normal wooden sheets get scratches easily. Indeed, even to such an extent as hauling out a seat at the dinner table can leave unattractive scrape marks. 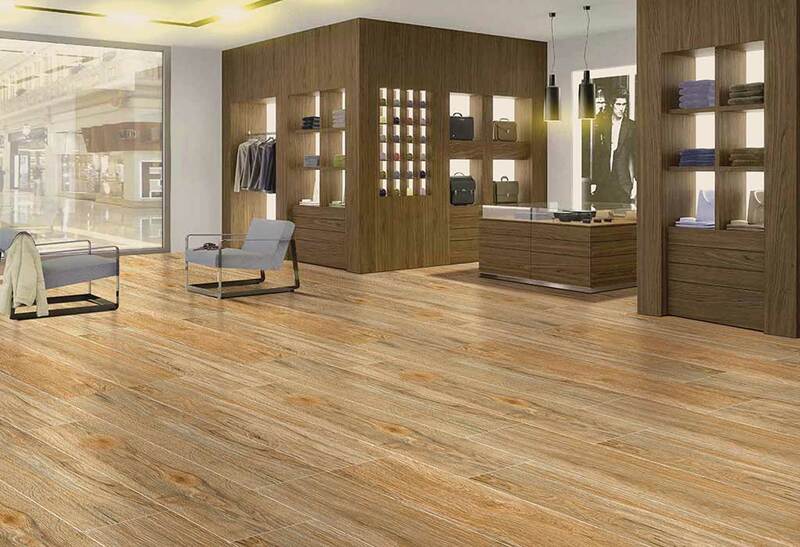 With Kajaria wooden floor tiles in India, you can forget about scratches. They are significantly stronger than genuine wood, and won't capitulate easily to paws or seat legs! If you have regular wooden ground surface in your restroom, the chances are that you might sporadically slip while venturing all through the shower. This is on the grounds that the mix of wood wax and a smooth, sanded surface results in next to no rubbing, or, in other words, areas where the floors get soggy, for example, in a washroom. 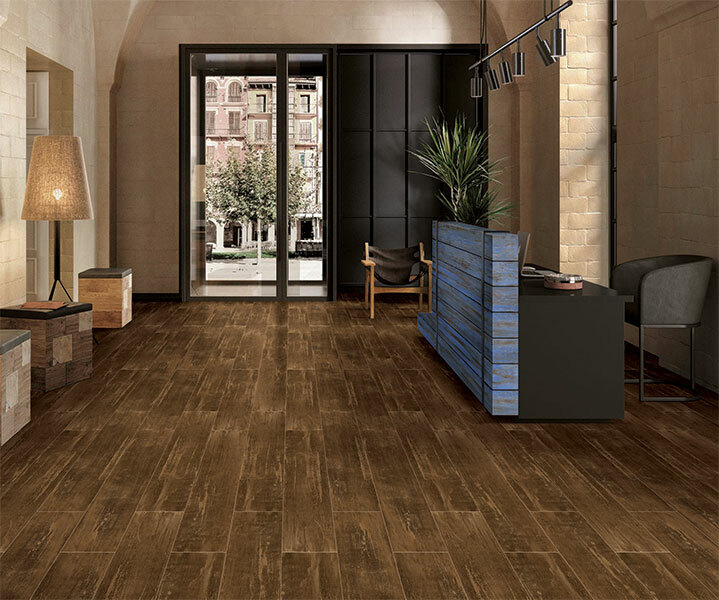 With wooden floor tiles, you don’t have to worry about slipping. It helps to add security to elusive restroom and wet room floors! In the event, that you've at any point hosted a get-together, visitors incidentally kick over a glass of red wine onto your uncovered wooden floor and you'll suddenly realize that evacuating the stain is not an easy job. Regularly, it leaves an unattractive pink stamp. 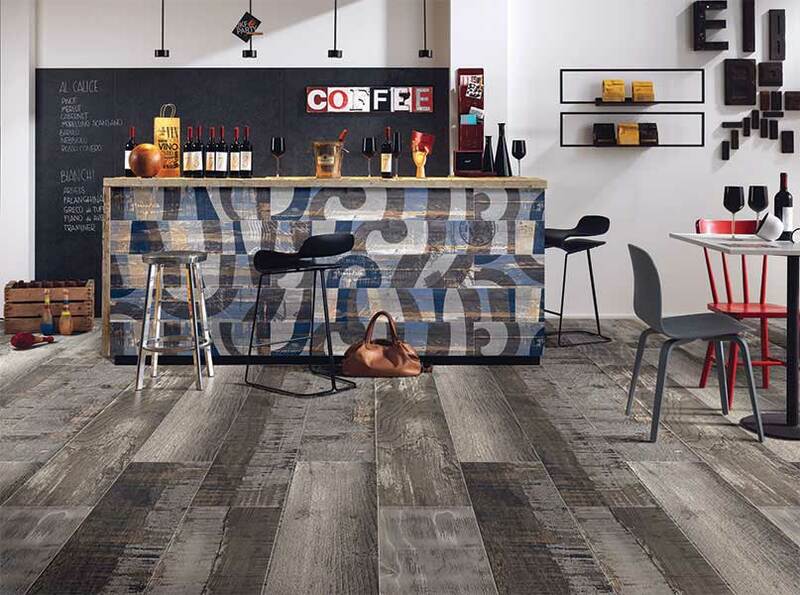 With wooden floor tiles, be that as it may, you just wipe up the wine and are allowed to party the night away!